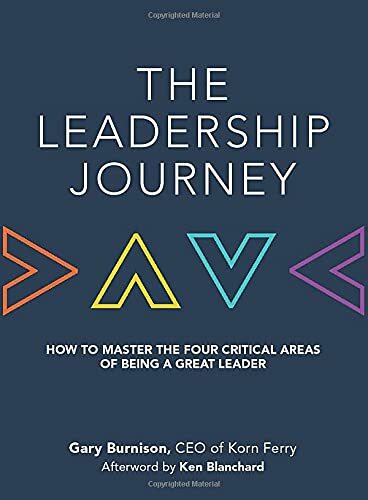 [PDF] The Leadership Journey: How to Master the Four Critical Areas of Being a Great Leader | Free eBooks Download - EBOOKEE! Description: Master the essential skill set of the truly effective leader The Leadership Journey charts a course through four critical areas of being a great leader. Written by Korn Ferry CEO Gary Burnison, this book brings world-renown people and talent development expertise to bear in a discussion about 'good' versus 'great' leadership. Successful leadership at any level is about getting results, but how do the best of the best manage to consistently deliver bigger and better things? This book shares the 'secret sauce' of successful leadership, and provides an actionable framework for discoveringand developingyour own leadership skills and potential. Anyone can have the right hands-on skills, but true leadership finesse lies in the much tougher realm of developing self-awareness to lead yourself first ('Look in the Mirror') navigating by a fixed point of personal and organizational purpose ('Embody Purpose') journeying with others who want to follow you ('Don't Walk Alone') and plotting a course that's beyond the line of sight of what everyone sees ('Navigate Beyond the Horizon'). By distilling the broad and complex topic of leadership into highly accessible points and discussions, The Leadership Journey is perfect traveling companion for everyone along the leadership path. Effective leaders help people do moreand become morethan even they ever thought possible. This book gives you a practical framework for becoming the kind leader your team needs to succeed. Master the key elements of great leadership Understand why hard skills aren't enough Learn how to motivate and lead others Achieve more by helping others inspire and empower themselves Grounded in practical and proven real-world experience, this invaluable guide packs a powerful punch. When it comes to great leadership, reaching your destination requires a precise, well-planned journey that covers all critical ground. The Leadership Journey gives you a clear roadmap with expert direction and world-class advice. No comments for "[PDF] The Leadership Journey: How to Master the Four Critical Areas of Being a Great Leader".